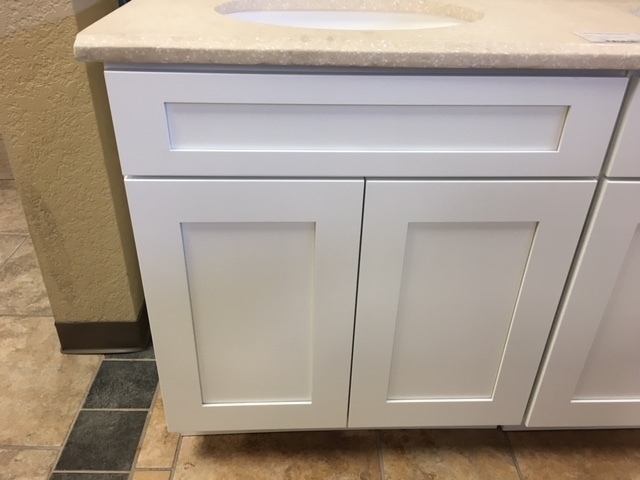 White Shaker style 24" vanity with 2 doors. Vanity has plywood box and soft-close doors. Cabinet comes RTA and needs to be assembled. Assembly can be added for $25. Counter top is sold separately.